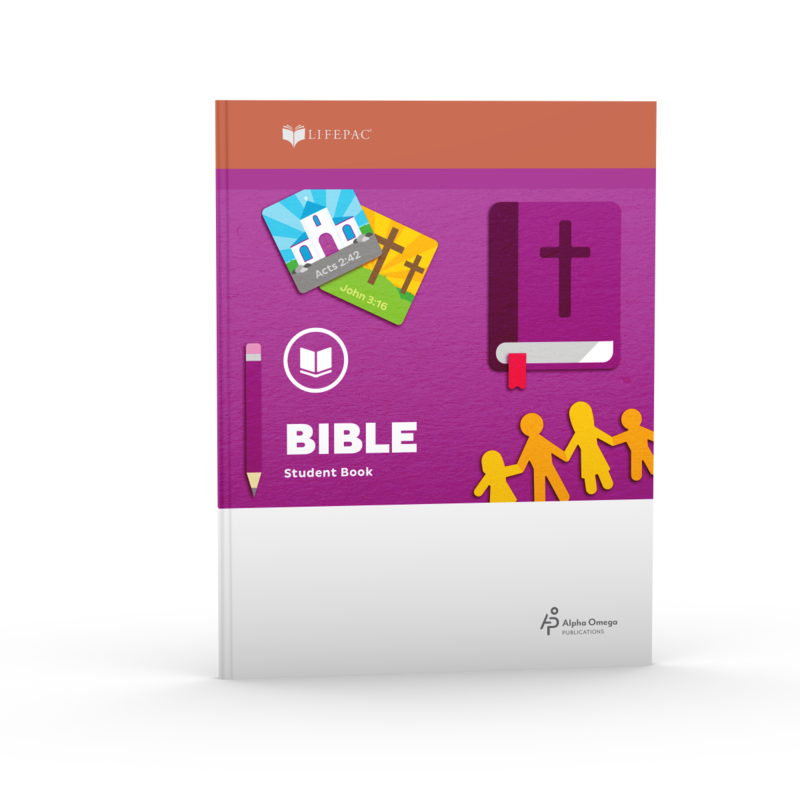 Ready to teach your second grader Bible with the LIFEPAC program—but don't need the teacher's guide? 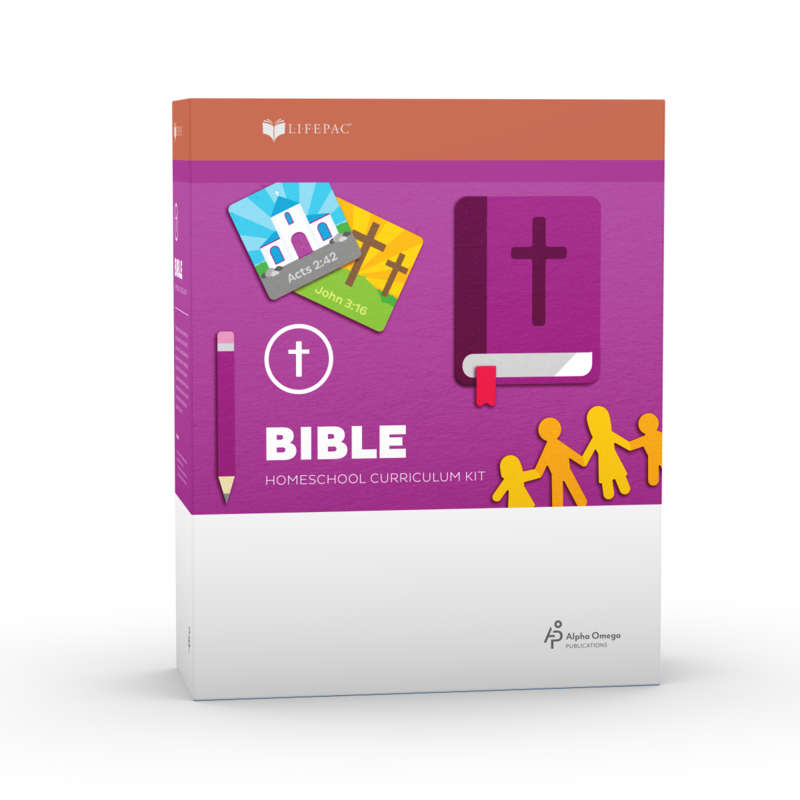 Try the LIFEPAC 2nd Grade Bible 10-Unit Set! These ten consumable worktexts provide Bible lessons for an entire year. Each worktext includes full-color Alpha Omega curriculum lessons, self tests, and a removable teacher-administered test. 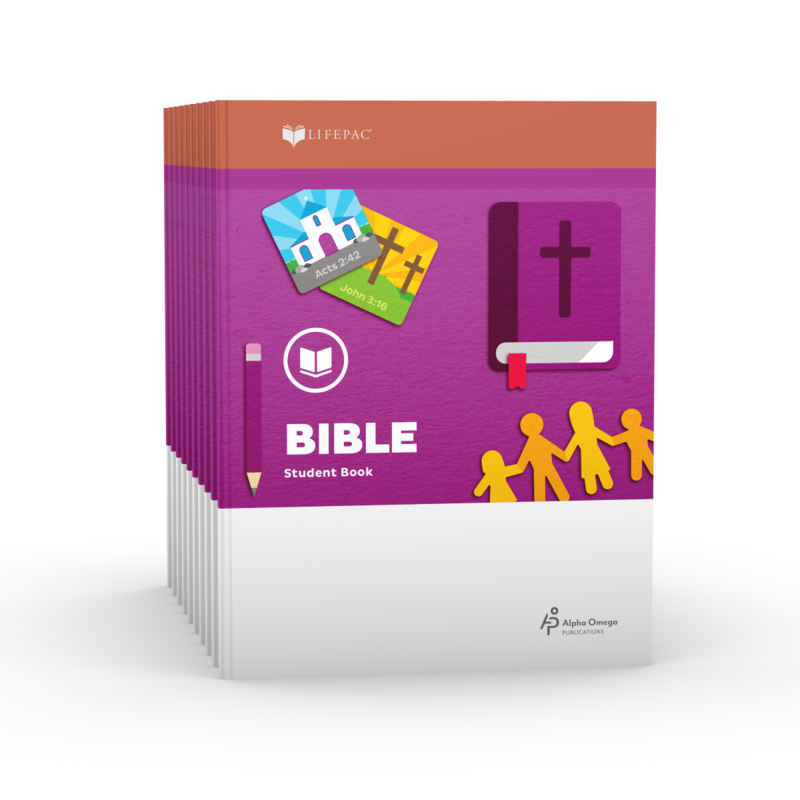 Help your second grade student grasp the truths of God's Word with the LIFEPAC 2nd Grade Bible Unit 1 Worktext. This engaging booklet covers lessons created to help your child learn exactly who God fashioned him to be. Colorful, child-friendly instruction in this Alpha Omega curriculum makes these lessons not just relevant—but also fun for your second grader. Help your second grade student grasp the fundamental truths of God's Word with the LIFEPAC 2nd Grade Bible Unit 10 Worktext from Alpha Omega Publications. As your child studies this colorful, child-friendly—yet vitally important—Alpha Omega curriculum, he will be captivated by lessons which focus on God and His Word. In the LIFEPAC 2nd Grade Bible Unit 3 Worktext your child will focus on two foundational truths from God's word: God's character and God's relationship with His children. At Alpha Omega Publications, we don't think studying the Bible should be dull—especially for a child! And with this colorful, child-friendly Alpha Omega curriculum booklet, it isn't! Help your second grade student grasp the truths of God's Word with the LIFEPAC 2nd Grade Bible Unit 5 Worktext. In this engaging Alpha Omega curriculum, your child will learn important lessons from the life of David. Colorful, child-friendly instruction makes the lessons in this consumable worktext relevant—and fun—for your second grader. Help your second grade student grasp the fundamental truths of God's Word with the LIFEPAC 2nd Grade Bible Unit 6 Worktext from Alpha Omega Publications. Lessons which focus on the omnipresence and eternal nature of God will delight your child as he studies this colorful, child-friendly—yet vitally important—worktext. In the LIFEPAC 2nd Grade Bible Unit 7 Worktext your child will learn important lessons from an engaging study of the life of Joseph. At Alpha Omega Publications, we don't think studying the Bible should be boring—especially for a young child! And with this colorful, child-friendly Alpha Omega curriculum, it won't be!